The BSI 2019 was supported by the Department of Science and Technology, Government of India and State Government of Uttar Pradesh. The Summit was targeted towards enabling Indian government and ministries to speed up the process of developing a ﬂourished Blockchain ecosystem. Global Blockchain brands and government bodies are joining hands to make India a Blockchain capital. 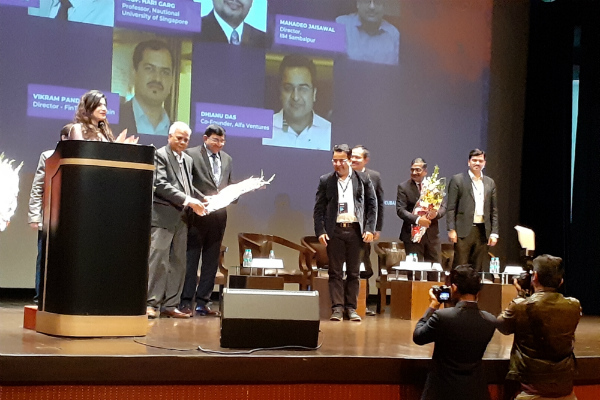 Mr. Vikram Pandya, Program Director – Fintech at SP Jain, represented the School as a Master Class partner. The Master Class for Fintech was conducted by him and was attended by Indian ministers, academia directors, Blockchain giants and corporates. He was also one of the panellists along with other Blockchain influencers and policymakers to discuss ‘Blockchain Skill Development’ for the New India.